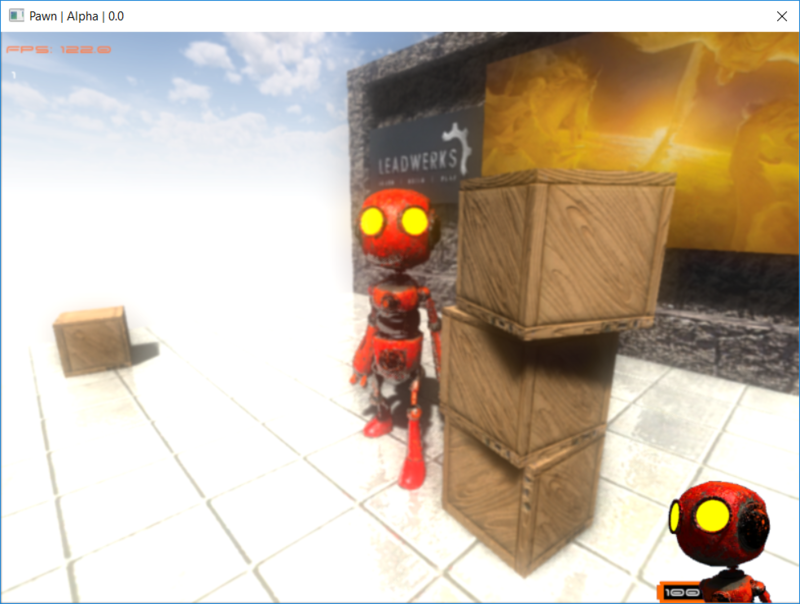 The stacking of boxes has been successful, this is thanks to the system that has been implemented, kicking the box, carrying a box, and releasing a box. You could make things better, more realistic, such as when the kick and that the tip of the foot of the character to touch the box is flying, but the truth does not matter is just a simple game. At this point everything has been a challenge, and what is done at the moment is just an immersion learning process in the set of tools that Leadwerks offers. With what has been done so far you can create a simple game, something simple, that's the basis of success, because if I focus on complex systems of gameplay, this is never going to end, so it's time to implement some gameplay, something the player does, a simple challenge in platforms, boxes, player health and a point to reach. But at the moment, happy with how simple I have done.